There’s a lot of confusing and conflicting advice out there especially about raw honey. Plus the labels on jars of honey don’t always tell the whole story. Here are the answers to our most frequently asked questions about raw honey in general, and some of our Balqees varieties. Honey is a highly concentrated natural sugar solution containing more than 70% sugars (fructose and glucose mainly) and less than 20% water. It is natural for the honey to crystallise when the water in honey contains more sugar than it can hold. The balance of fructose and glucose causes the crystallization, and the relative percentage of each determines how quickly the crystals form and move through the liquid. This is a natural process and shows it to be a quality honey. In fact, if your honey doesn’t crystallise you should be worried that it has been pasteurised and processed, with the pollen, flavour and natural goodness having being stripped from it. Crystallisation is a sign that your honey is pure and raw. Is Balqees honey mixed with sugar or cream? It is understandable why people might ask about any additives as there are many commercial kinds of honey out there that have added glucose, dextrose, molasses, corn syrup, sugar syrup, even flour and starch to mass produce honey. 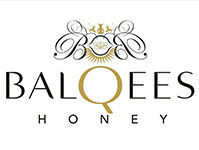 At Balqees, all our honey is raw and unadulterated without anything being added. What you get is what has come from the hive with a small amount of filtering to take out any wax and debris so you get the honey beautifully smooth. This doesn’t affect the natural health properties of the honey. With regards, the creamier kinds of raw honey and fusions the texture has come about due to either the raw honey naturally crystallising which turns the honey a lighter colour as is the case with our Mango Cream from South Africa, or white, like our Raw White Mountainous Honey from Kyrgyzstan (its white colour is also down to the white wildflowers and pollen the bees forage on in the summertime). The result is a smooth and creamy texture that’s easy to spread. You can also get the creaminess or change in texture by blending different kinds of raw honey together or with natural ingredients as we do with our raw honey fusions. Can you eat honey if you are diabetic? It is recommended that people with diabetes may consume honey as a natural sweetener as a replacement to refined white or cane sugar if consumed in moderation and as part of a healthy diet (always consult a medical doctor or qualified nutritionist if you are concerned or have issues with insulin). While honey contains more carbohydrates and calories than white sugar, it is natural, less processed and only mildly impacts blood sugar. It contains some nutrients that can be beneficial in the way the body metabolises the natural sugar. People with type 2 diabetes who want to include honey in their daily diet should introduce it slowly, consuming a little at a time to see how their blood sugars react. How do you choose which beekeepers to work with? Is Manuka honey the best honey? Many high-grade raw honeys carry similar medicinal benefits to Manuka but it is the higher concentration of methylglyoxal (MGO) a naturally occurring compound that separates Manuka honey from the others. All raw honey is good for us, but Manuka and high-grade medicinal honeys like Yemeni Sidr are particularly beneficial in wound care and the treatment of superbugs. The MGO in Manuka honey has shown in some studies to inhibit a number of known pathogenic bacteria such as E. Coli and Staphylococcus and because of its antimicrobial qualities could be a natural option instead of taking antibiotics that with overuse means there is a resistance to some of the superbugs out there. It’s important to realise that not all Manuka is raw so depending what you need it for be sure to check the label and source. Read more about whether all Manuka is raw. Are raw honey and organic honey the same? Many argue that all honey is organic if produced in clean environments and follows the best practice of beekeeping and production from the hive to the jar. Where raw honey is about maintaining the temperature of the hive and retaining the health properties, organic honey is about guaranteeing the flowers the bees collect their nectar from are chemical free. Generally, beekeepers must ensure that the flowers within 3 to 5 miles of their hive are not sprayed with chemicals in order to gain a certified organic label. The problem is that some bees might fly much further and it’s hard to avoid contamination and so difficult for beekeepers to guarantee their honey is completely organic. Organic certification can be prohibitively expensive and it’s important to note again not all honeys labelled 'pure' or 'organic' are necessarily raw. Read more about raw versus organic… and how some honey is fake or contaminated. Do you need to put raw honey in the fridge? You don’t need to refrigerate your honey as it is best kept at room temperature to retain all its natural benefits. The cold temperature can affect the texture of the honey, making it thicker or even hard if kept in the fridge. It won’t go off – honey was found buried in the tombs of the Pharaohs in Egypt and it was still edible. Read more on how to store your raw honey. Is it OK to feed small children Raw Honey? It is not recommended for infants whose immune systems are not fully developed, a process that occurs usually in the first year. It is not recommended for children to eat raw honey under one year of age. Read more about whether raw honey is safe for children here. Honeycomb is produced in the hive by bees and is made up of beeswax. The structure of honeycomb consists of hexagon-shaped cells used to store the honey. The wax that makes up honeycomb contains very-long-chain fatty acids, along with esters. The honey stored within the honeycomb is the purest, rawest form of honey, and the wax the honeycomb is made of has a high nutritional value and health benefits. Honeycomb can be eaten as a whole food, spread on toast, broken over Greek yoghurt with fresh fruit and walnuts, crushed over muesli, or used as a complement to any fine cheese platter or dessert. We’ve got lots of ideas about how to pair raw honey with cheese here. If we didn’t answer your question, please drop us a line on on Instagram @balqeesrawhoney Twitter @balqeesrawhoney or Balqees Honey on Facebook.